It turned out I would be able to make it to the show on-time, but I would be getting there shortly before curtain, and would probably miss out on whatever festivities might be going on in the lobby before the show. I arrived at the hall, and immediately searched for the booth selling Wasamin goods, hoping she might be there. She wasn’t, oh well. 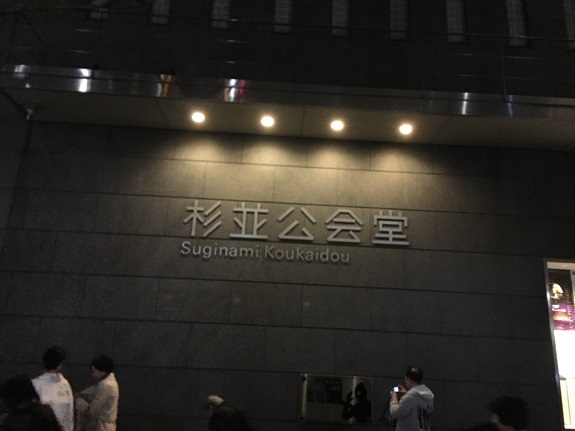 I went upstairs to my seat meeting my friend Shim-san, who I knew had the seat next to me. He confirmed that Wasamin did indeed work her booth in the lobby, and that I had just missed her. Anyway, we were on the top level of the venue, in the third-to-last row on the right. 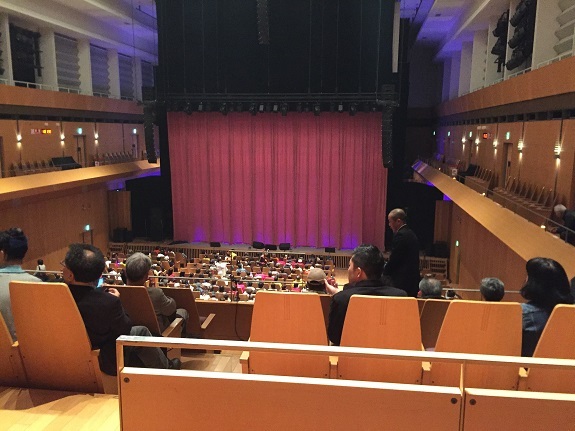 It wasn’t the greatest view, and was in total contrast to the first row seat I scored for the Itabashi show last year. The theme of the show was to nobody’s surprise, “The End of the Heisei Era,” and when it was Wasamin’s turn she chose to perform her first single, Mujineki. In fact pretty much every performer chose one of their older songs to perform, Hyabusa sang “Kuumo no Dance,” which is their only single of I own a copy of. Yuuto-kun sang his debut single, Kaotan singing her single from last year. Of course Hikawa performed his famous “Kiyoshi no Zendoku Bushi.” But I was most impressed with Shiina Sachiko’s performance. BTW, she was also in the cast of the play Wasamin was in at Meiji-za last month, playing Misaki’s older sister. Anyway, Sachiko is an incredible singer. To be honest, I was wondering if Wasamin could sing with that much power, intensity, and masculine energy. I would love to see her try. 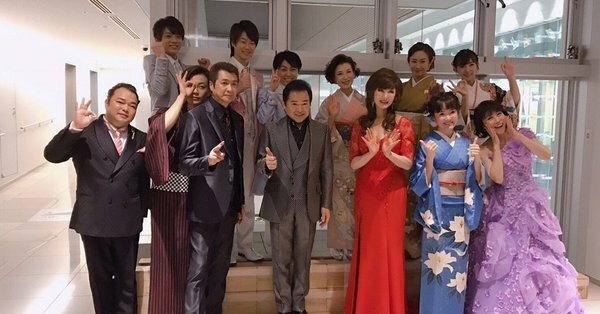 Like last year, where Sasaki Isao was a surprise guest performer, there were two guest stars in this show. The first was Guchi Yuzo, a singer/comedian who opened with a cover of Frankie Valli’s “Can’t Take My Eyes Off of You.” He is known for his comedic performances, and his long interview/MC after the song was filled with jokes and gags which had much of the audience cracking up. On the other hand, I am not big on Japanese comedy as it’s a bit too slapstick for my taste. After this a second guest star appeared, Linda Yamamoto, who you might remember as an artist who Wasamin covered at her most recent solo-concert (and at her birthday party) She was also one of the original Kamen Rider Girls. 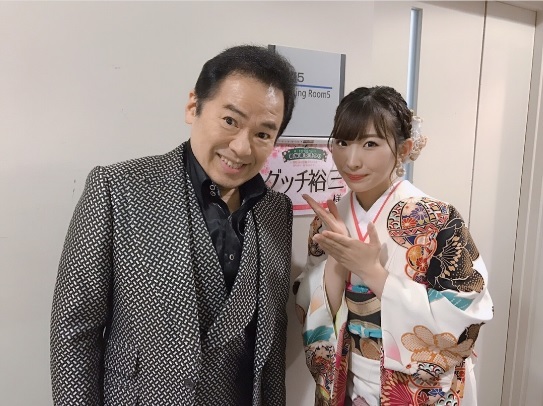 She performed her big hit “Neraiuchi” before doing her own long interview with Higashi-kun. The final portion of the show featured each singer performing their newest single (Wasamin of course sang “Sangenjaya”) and one final group song before the end of the show. the interesting part of the segment is that while each singer performs, they play the music video on the screen above. Before the curtain closed the members wave to each section of the crowd. At one point Wasamin began pointing in my general direction and waving. Could it be that she was waving to me specifically? Or did she merely see the yellow Happi? That question, and many others will be answered on the next post.